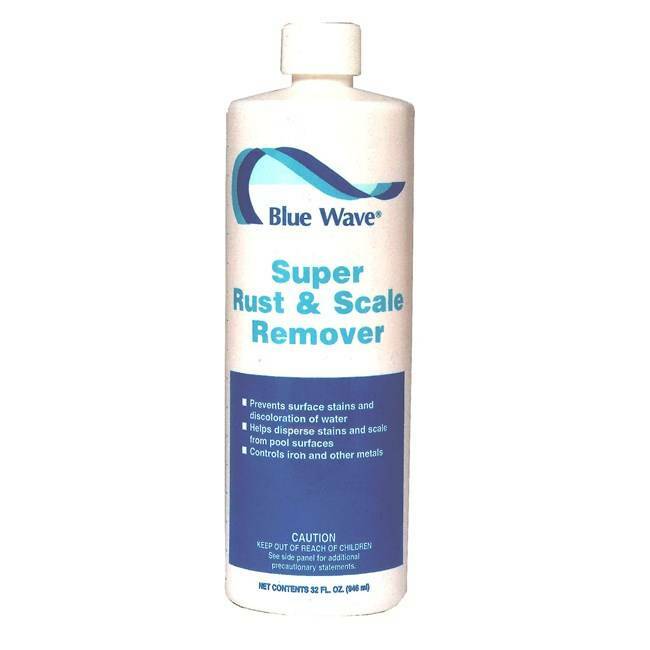 Super Rust & Scale Remover - 1qt. 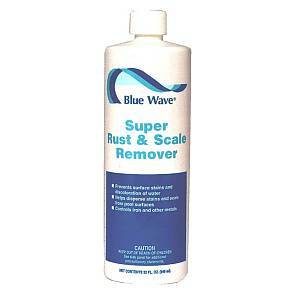 Use Blue Wave's stain and mineral products regularly to remove existing stains and prevent the formation of new stains. Iron, copper, manganese and cobalt are metals, which commonly cause colored water and/or stains in pools. These metals often enter the water through fill water. Buy 4 Quarts and Save!